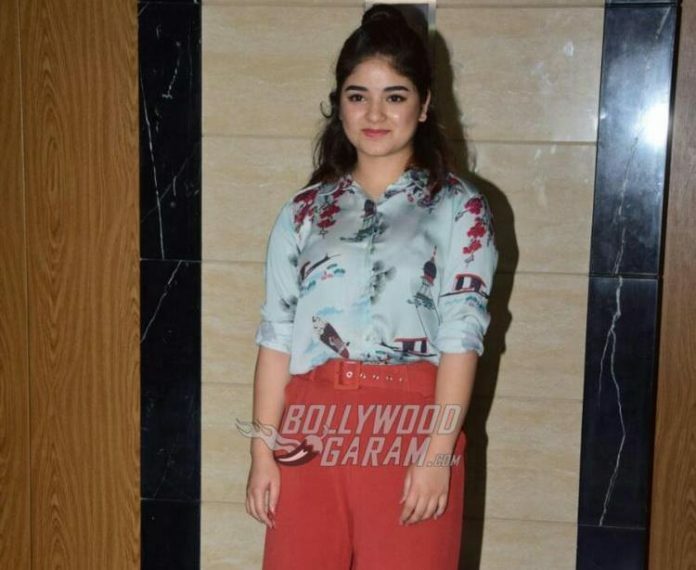 A 39 year old resident of Mumbai was arrested a day after 17 year old actress Zaira Wasim filed a complaint for harassing her on a flight from Delhi to Mumbai. Vikas Sachdev has been arrested on the charges of molesting the 17 year old National Award winning actress and was produced before a Sessions court in Mumbai, where the judge remanded Sachdev to a police custody for two days. The accused had reportedly molested and harassed the actor on board a flight operated by Vistara from Delhi to Mumbai. Zaira Wasim had also posted a video on Instagram in which she narrated the incident and broke down. The video went viral and triggered outrage. On the other hand the wife of the accused explained that the incident was a result of some misunderstanding and that her husband is innocent. The public prosecutor argued, “The accused who was seated on a seat behind the victim’s seat touched her with his leg on her shoulders and neck. The victim shifted a bit on her seat to get away from his leg but despite this he repeated the act after which she raised an alarm. The act has been done intentionally.” But the defense lawyer said that the act was not intentional and that his client was very tired as he had taken a 7 am flight to Delhi to attend a condolence meet for his maternal uncle, who passed away four days earlier the incident. After hearing both sides, the judge remanded Sachdev to a police custody for two days and will be produced again before the court on December 13, 2017. Sachdev’s wife Divya, spoke to the reporters that he was innocent and has been falsely implicated. The accused works as a private executive in a private firm and has a 9 year old son and lives at Chandivli in Mumbai with his wife.